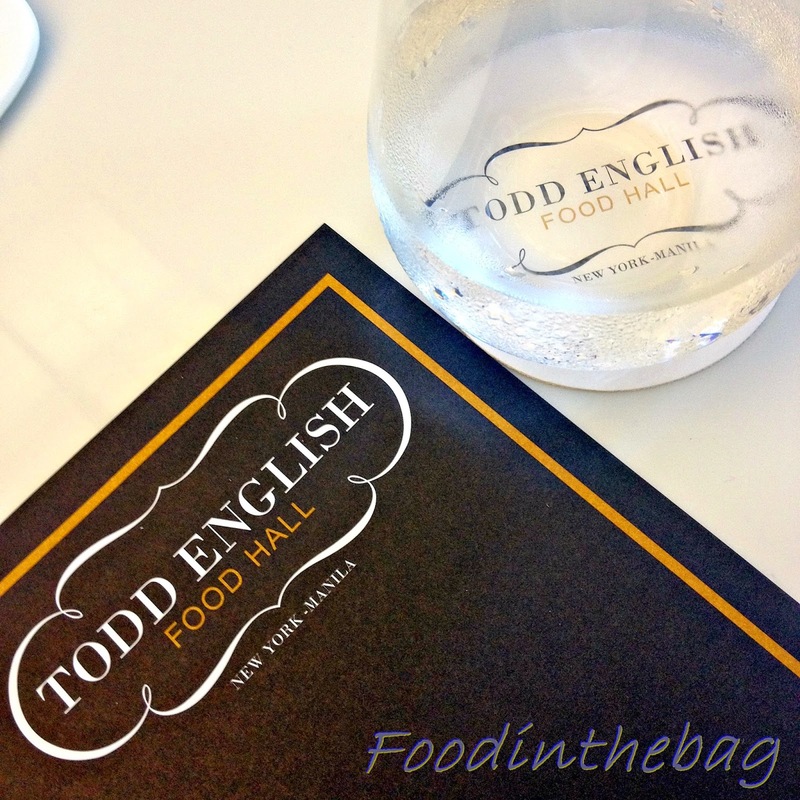 Todd English Food Hall: 1st Foreign Celebrity Chef Restaurant in Manila! 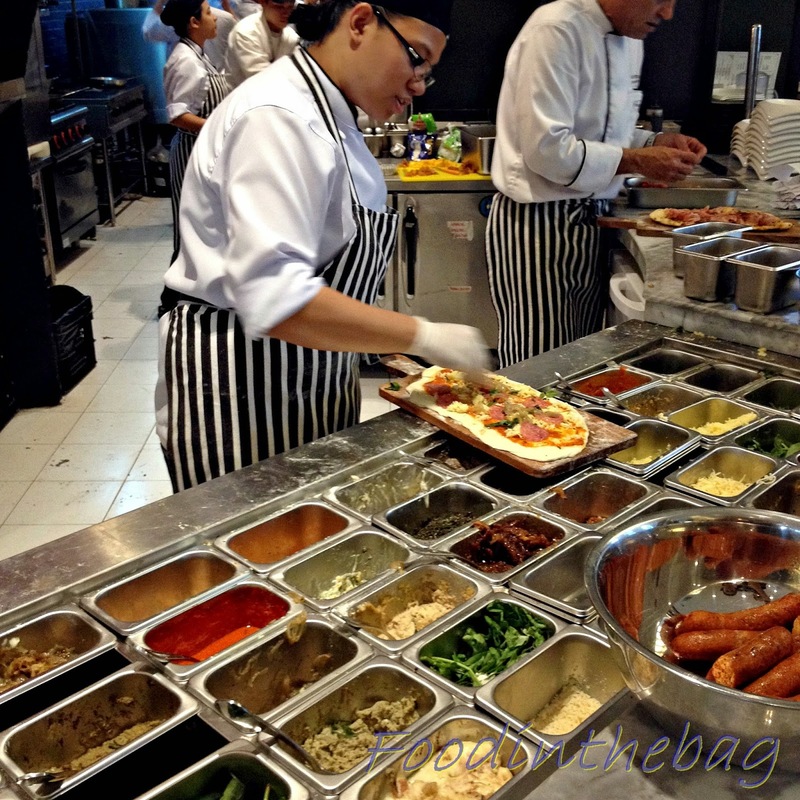 Food hall could be best describe with three words: "sharing dinning experience". With numerous stations, this particular restaurant is able to serve different flavors for everyone in the family. 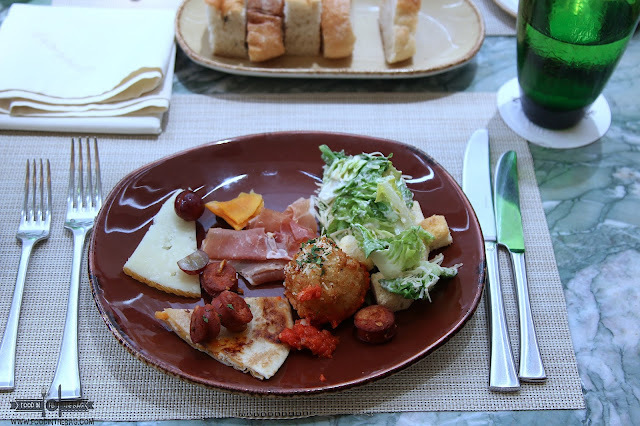 From salad and appetizers to pasta and pizza to Japanese rolls, to fresh dishes to mains to snacks to desserts and a lot more. Best part? Everything is freshly made to order. Just on its 1st week of operation, My friend and I was able to try the 1st foreign celebrity chef restaurant that opened in the Philippines. 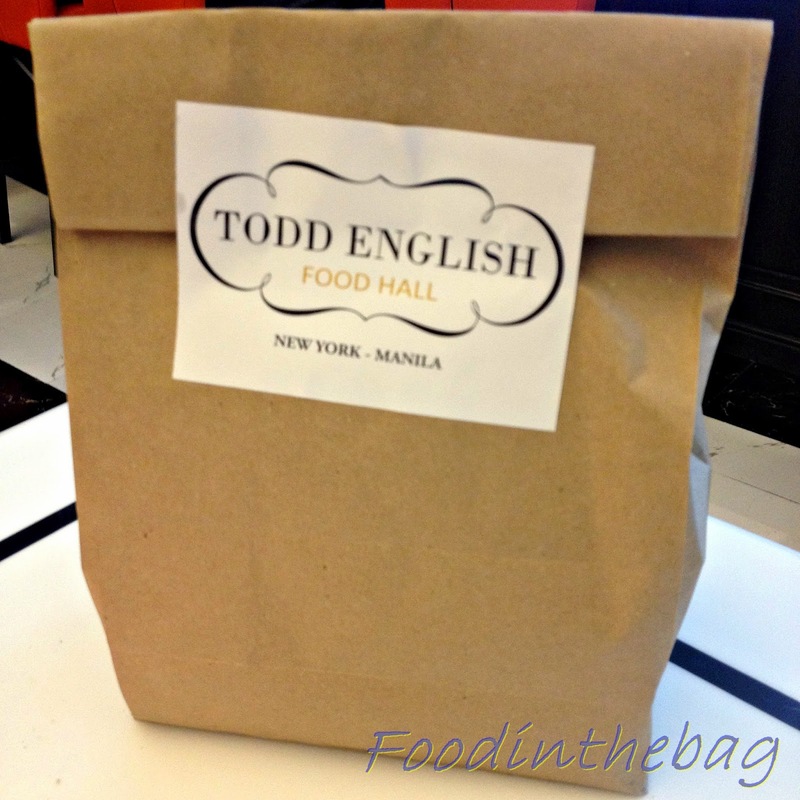 Todd English, known for his restaurant Olives and tv show Food Trip with Todd English, made waves with the Filipino Foodie community with his choice of opening his first Food Hall outside of the USA. 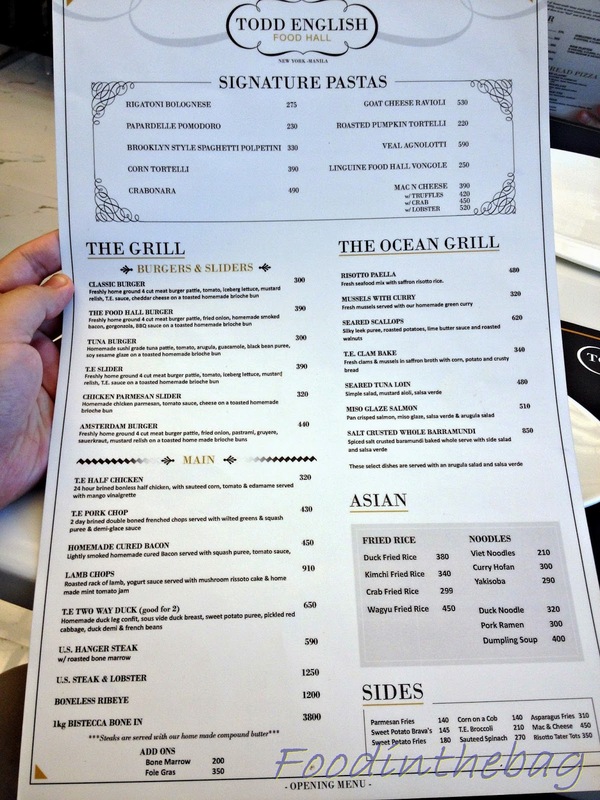 I really wanted to order a loooooot when I saw the menu!!! But, I was only able to get a few dishes since if I order a bit more, I would have stares glaring all over me. Worst, my friend would have gave me the evil eye and left me right there and then!LOL. Initially, I was disappointed to learn that some of my orders were not available. Giving them the benefit of the doubt since its only been a few days of operations, I shrugged it off. I asked for their drink list and dessert menu but it seems it was still being developed. No Hot Teas nor cocktails available as only colas and juices were offered to us by our server. Argh! 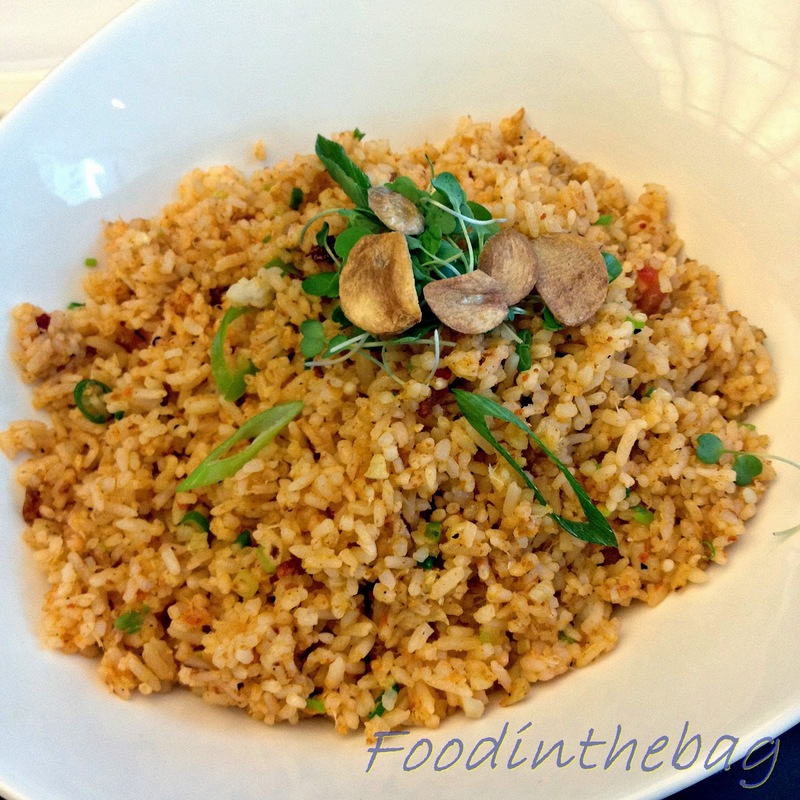 First up at bat, is their Crab Fried Rice (299Php). The flavor was intense and the smell gave off that fresh crab essence and not in that synthetic way. Was really really good. Unfortunately, this came way ahead of the pack even before the salad nor the pizza. We had to wait for a while since our mains didn't arrive yet. I was able to talk to one of the managers that checked up on us. It was really good to see that they asked for our opinions and genuinely valued it. He apologized and informed us that since they have different stations that cooks our meals, their timing, in terms of serving the courses in a proper order, was a little off but they are working on it. 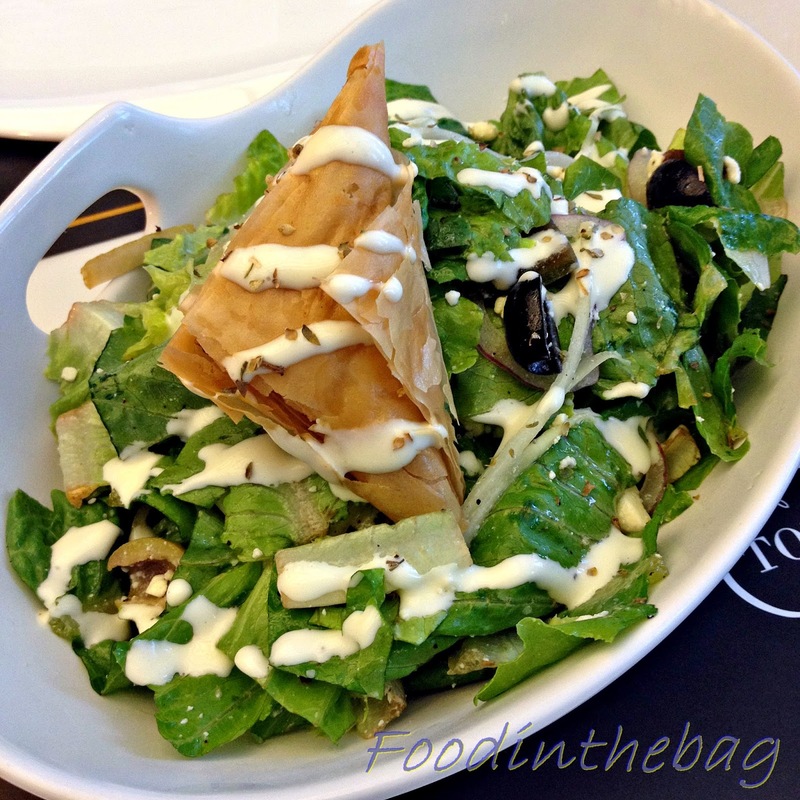 For something healthy, we got their Greek Salad (260Php). Crispy romaine lettuce, red onion, olives, cucumber, feta cheese, oregano vinaigrette, greek yogurt, served with feta cheese philo triangles. The veggies were crunchy and fresh. The dressing was light. It was only a little too salty as the feta cheese's flavor was intense and generously served. Maybe they could have mini triangles instead of one big one so that we could share it properly. One must not go to Food Hall without ordering a flat bread. 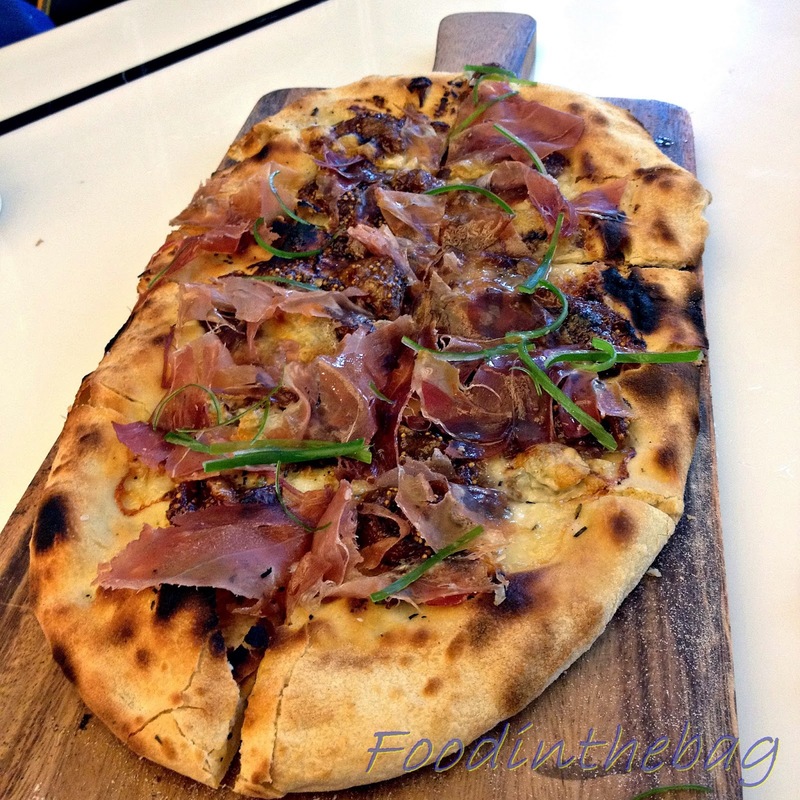 We got Fig & Prosciutto (530Php). 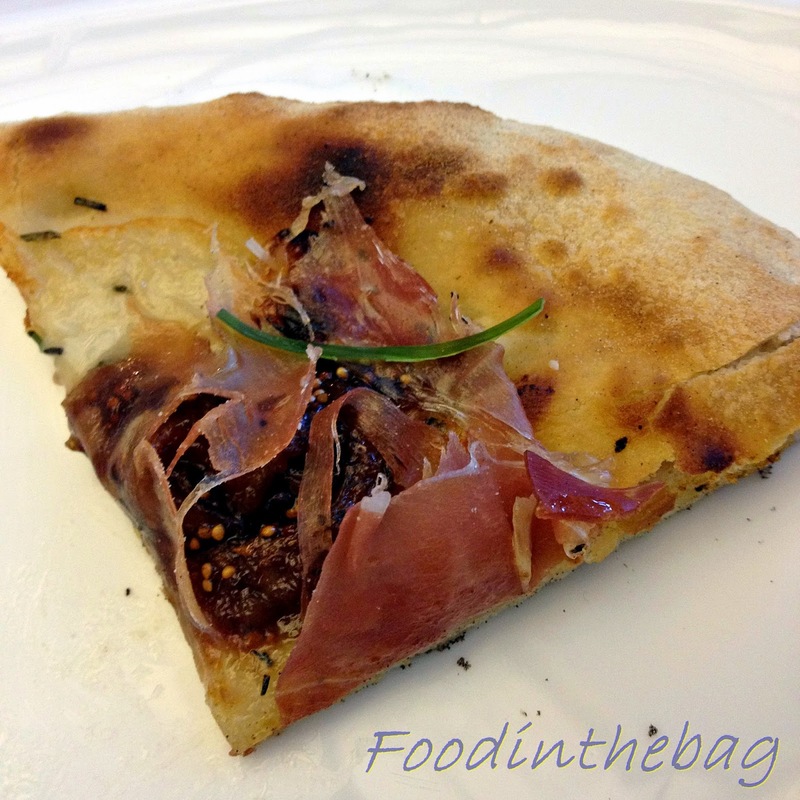 Fig Jam, Gorgonzola, Rose Mary, Prosciutto, Scallions. Generous with the ingredients, this baby doesn't disappoint. Loving every bite as the crust was well made and the flavor was sweet from the fig and salty from the prosciutto. Damn! T.E. Two Way Duck (650Php), on the other hand, was a little disappointing. 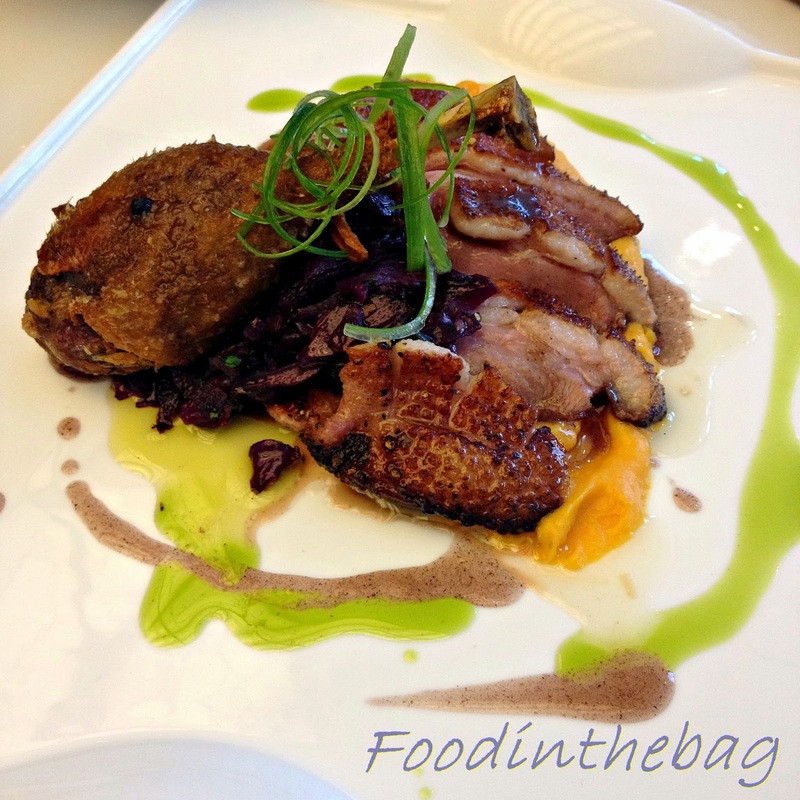 Homemade duck leg confit, sous vide duck breast, sweet potato puree, pickled red cabbage, duck dmi & french beans. The duck leg has crunchy skin and soft meat. It was what saved this dish. My companion and I actually fought over it. Good thing, we were able to compromise or else it would have been world war 3. Painfully, the breast par was undercooked. Really hard and chewy. Didn't touch it after the first bite. 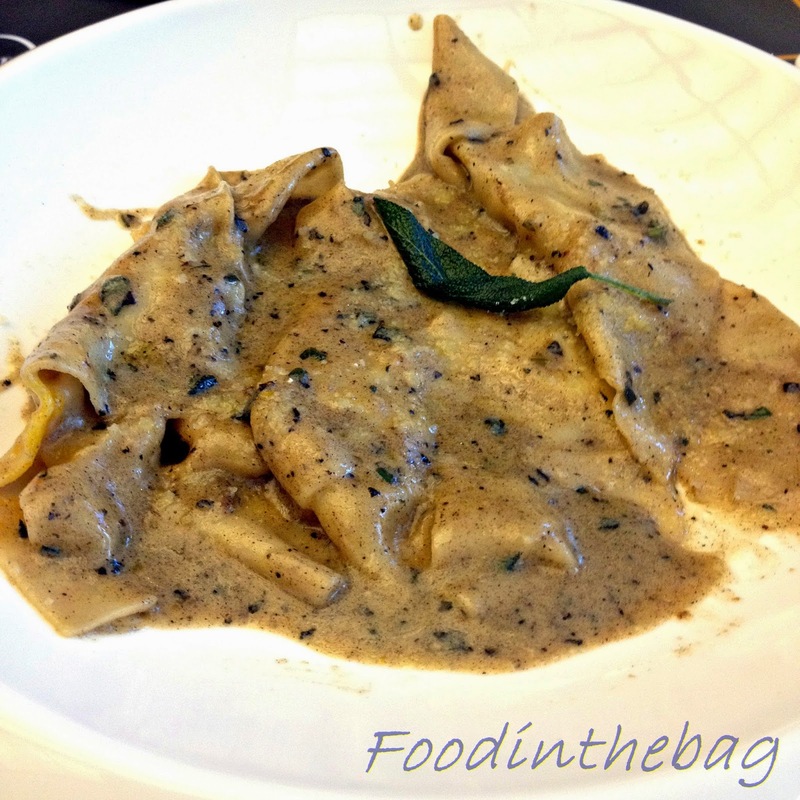 Next up was the Roasted Pumpkin Tortelli (220Php). 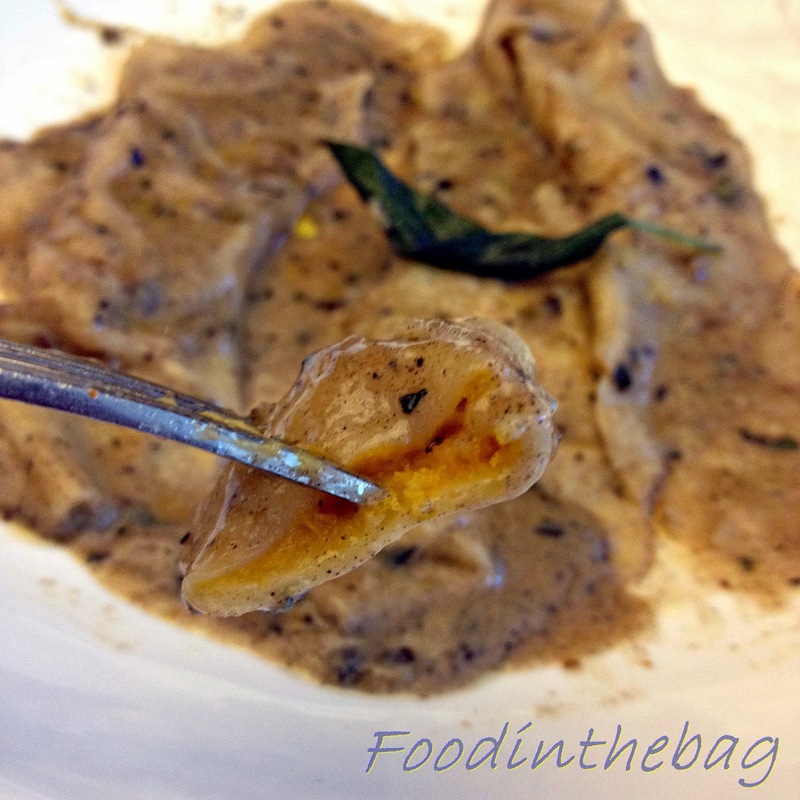 After trying to order the veal agnolotti and even some oysters (which weren't available), I got this baby. I had to follow up on this dish as they forgot about it. Initially, our server told us that we didn't order it. Upon asking her to check, she apologized and followed up on it. The wait was worth it. Alongside with flat bread and the dessert, this got to be the best dish I had during our lunch. The roasted pumpkin filling was damn good. It was creamy and tasty. I could slurp it all up! I didn't care that it looked like a mess. One bite and I loved it!!! Since I have been a good boy for the past week, I also got a dessert. They only had two on the menu. The first choice was S'mores which they only started serving a day before. So, I chose the other instead. This chocolate cake is heavenly. Pure orgasmic. It melted in my mouth. My taste buds were loving it!!! After shot. Just to prove my point! LOL! 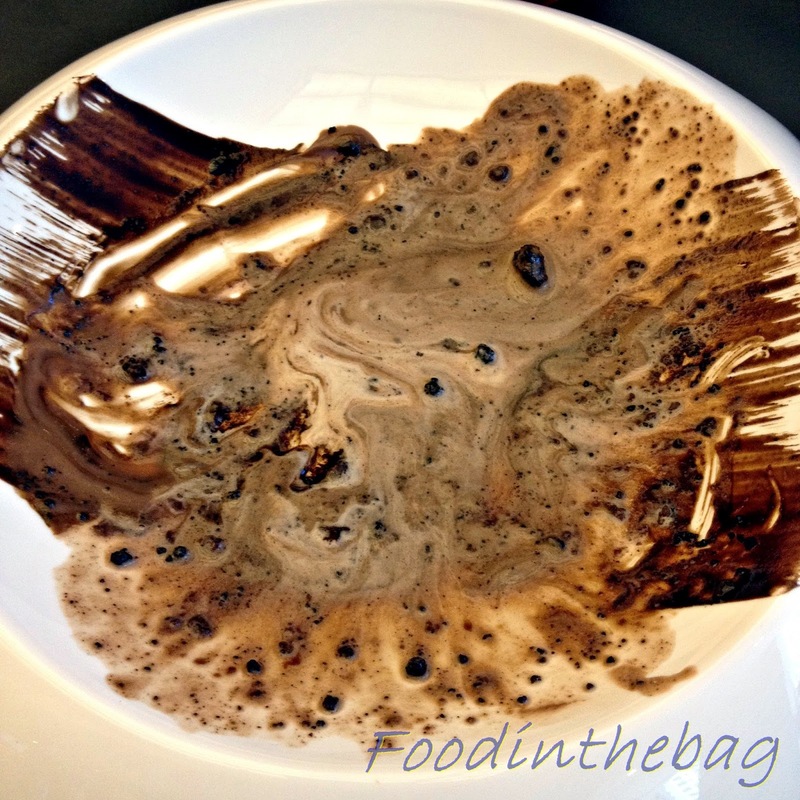 Even after eating it, it still looks like a work of art. 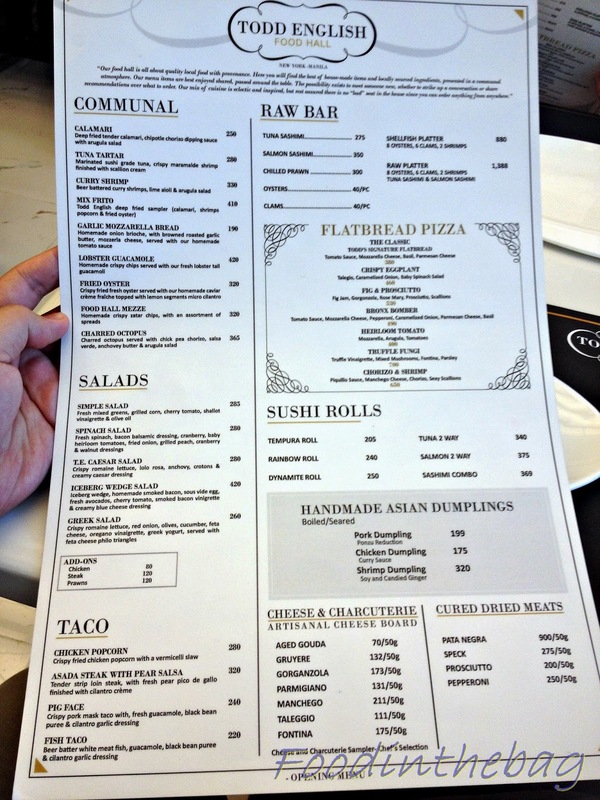 This restaurant is a welcome sight to the Manila food scene. It definitely up the stakes in terms of delivering fresh and affordable food. Although a few kinks here and there, I think its forgivable for the first few weeks of operations. Can't wait to go back with a few more friends to enjoy more dishes but I think I'll lean more towards the pasta and dessert rather than the mains and maybe after a few weeks... Budget around 400-600Php/person. Pretty affordable for the quality and flavor! 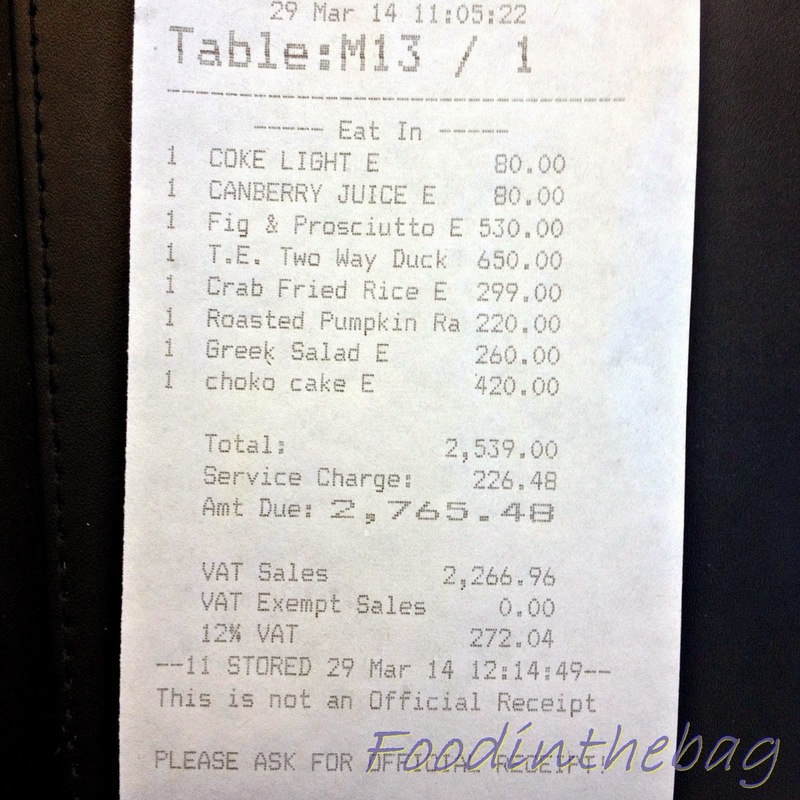 Disclaimer: My friend paid for our meal. Wrote this based on my experience. 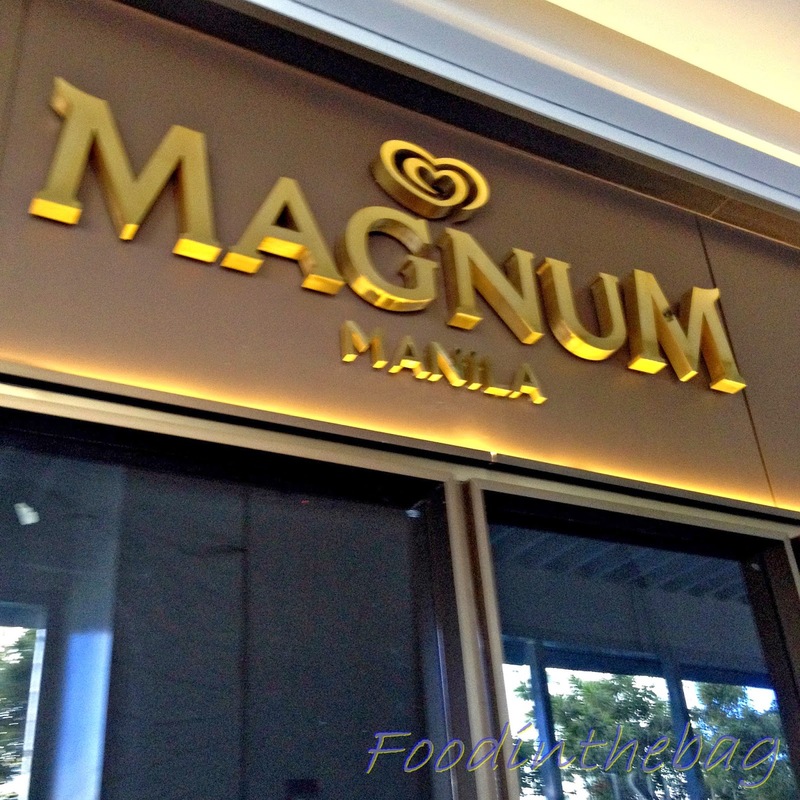 Magnum's Pop Up resto will open come April 8, 2014 ... can't wait for the choose your own dippings and toppings. 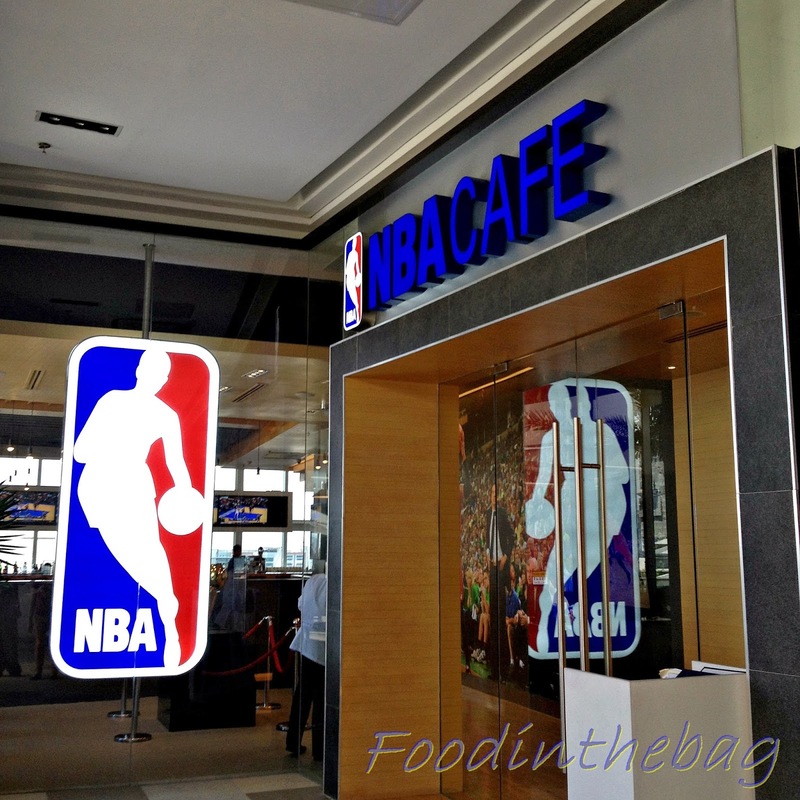 and its kinda interesting that the NBA CAFE opened up without fan fare on the same floor. To try or not too? It was pretty much deserted at Saturday lunch. Yup, Yes, O-O... 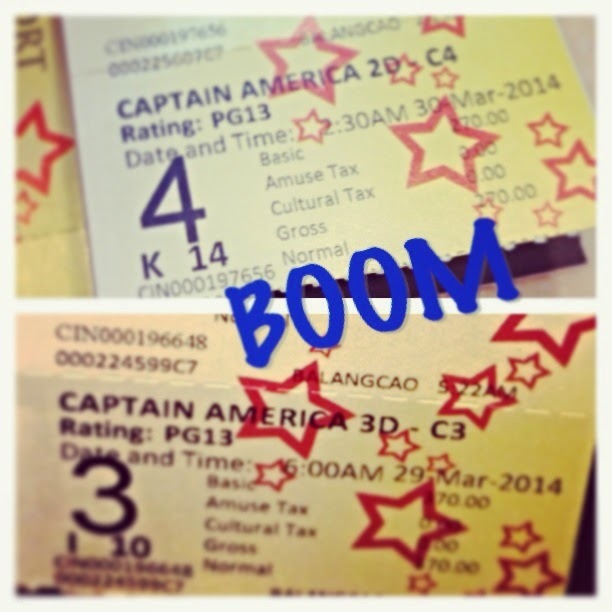 I went to watch Capt America 2x in 24 hours at odd times too!!! Can't help but enjoy the movie with friends. 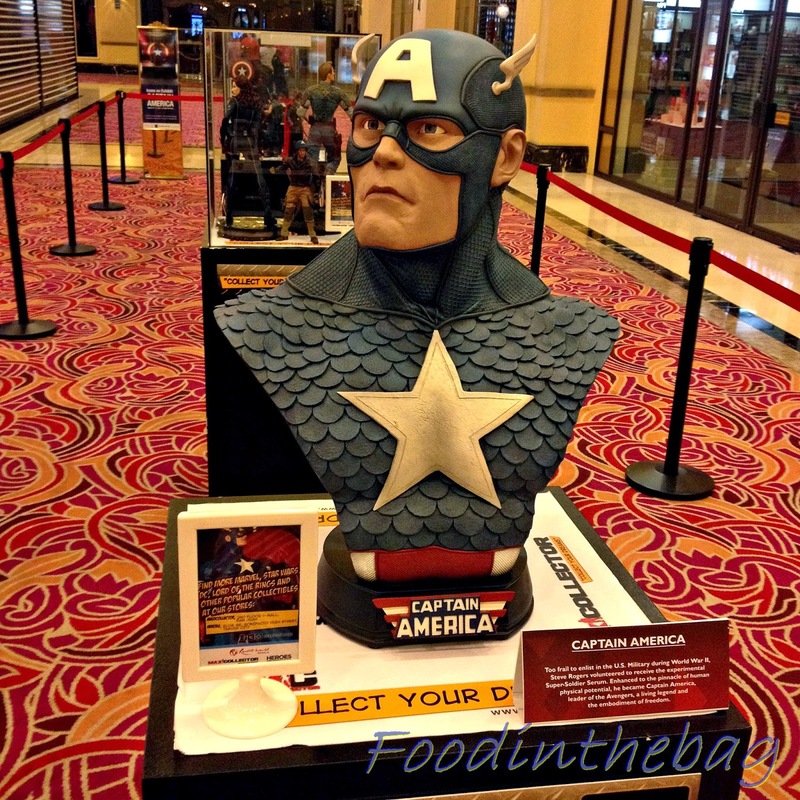 and go on over on the 1st floor of RW as there is an exhibition of collectibles. 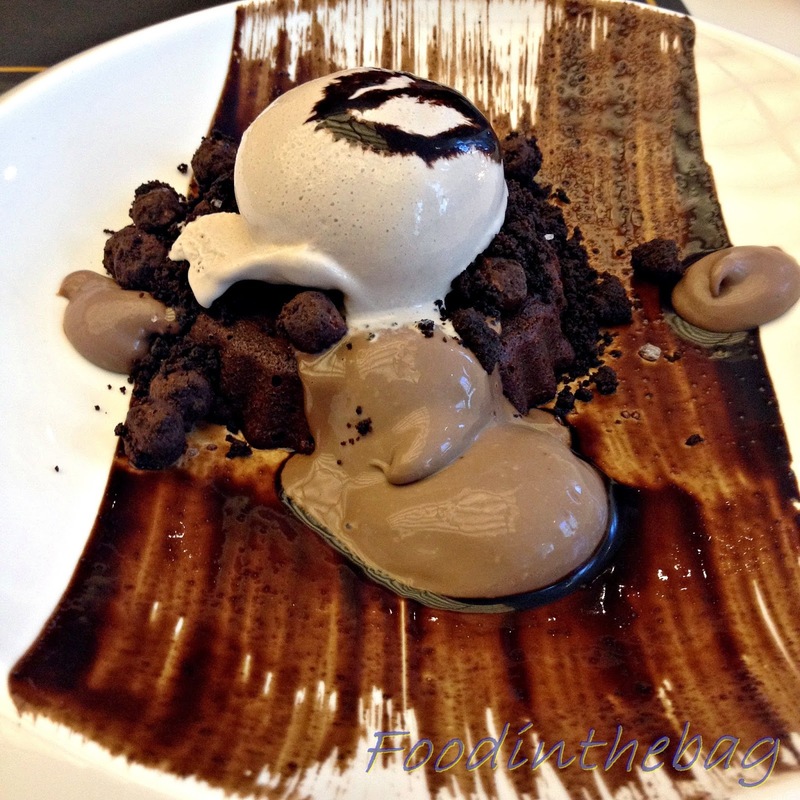 Woah.. Take me Todd English AND Magnum Cafe!!!! !